I have been using Evernote for as long as I can remember having an Android device, and although I don’t use it on a daily basis, it has always been an organizer that I knew I could rely on. Evernote for Android received an update early today, and not only did it add improved functionality, but also a completely refined interface for Android tablets. I’m diggin it! 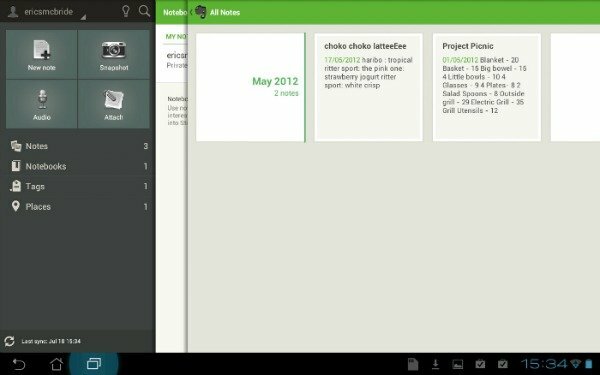 If you own an Android tablet and have Evernote installed, update it! If you’ve never tried it out, you can get it for free here on the Google Play Store. I’m really glad to see more tablet optimized apps hitting the Play Store, and I hope they keep coming!